Features - Kristin Texiera, Materiel Supply, Stebs & Keena. 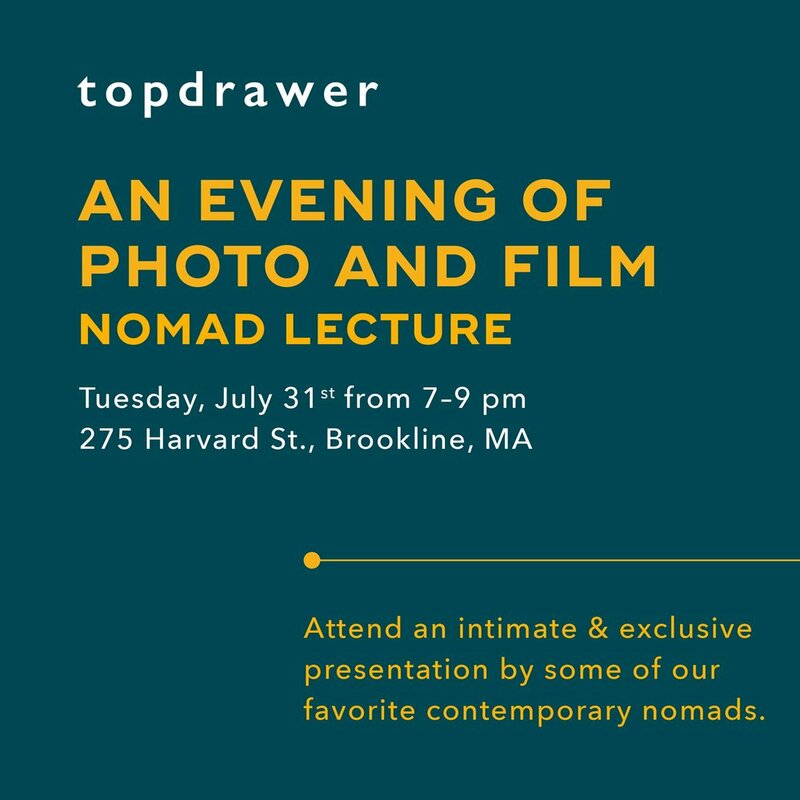 Location - Topdrawer Newbury Street and Coolidge Corner. 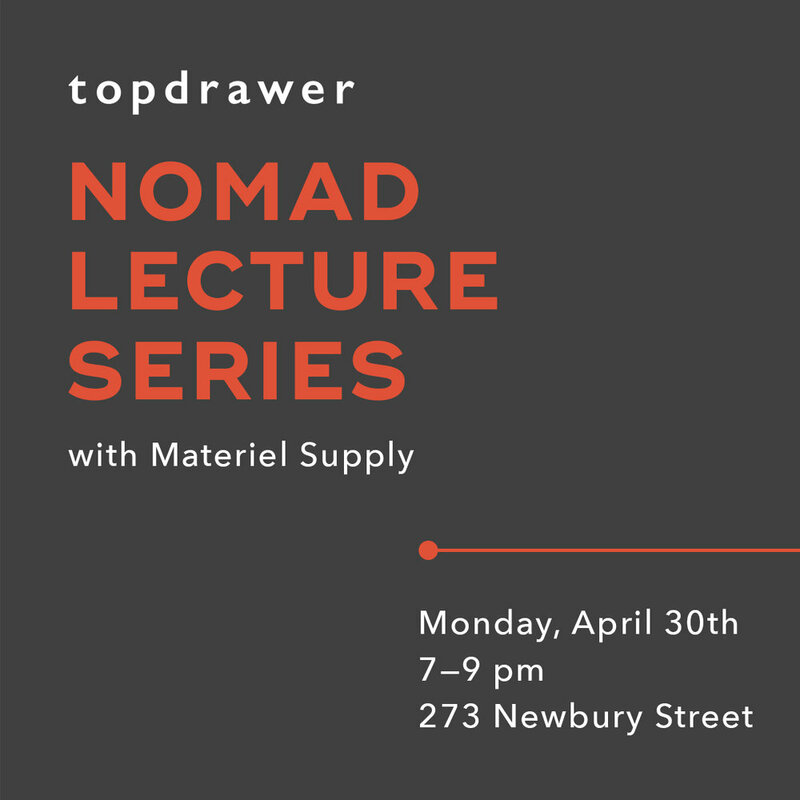 In 2018 part of my event programming as Boston Business Development Manager for Topdrawer was a series called the Nomad Lectures. In this series we opened our doors after hours for an exclusive look into the lives of a variety of creative professionals who made their art not only their career but a nomadic lifestyle.